Told that b-tch give me head, Ocho Cincooooooo! Lol, this song is funny. 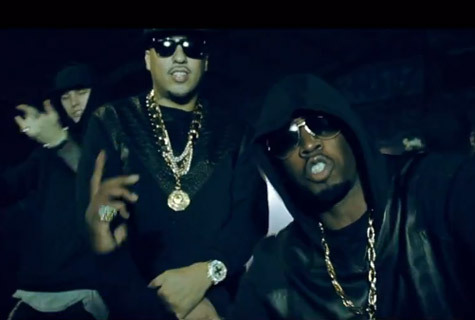 The ultimate Bad Boy link up - French Montana teams up with his fellow Bad Boy artists: Diddy, MGK, Los and Red Cafe for his single 'Ocho Cinco'. The single is off French Montana's debut album 'Excuse My French' which is out May 21.